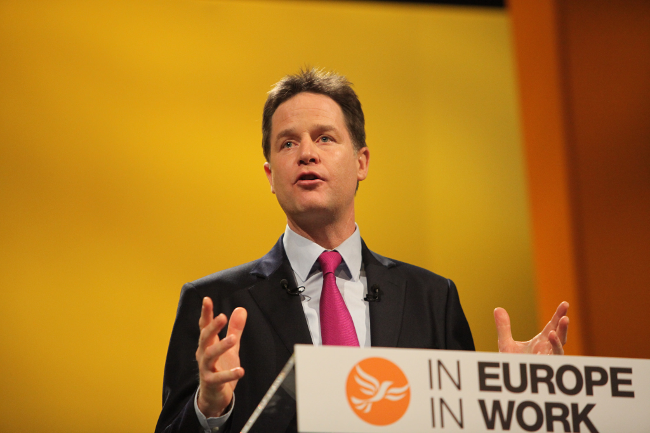 One would not have thought that the last month had left the Liberal Democrats with much of a party to squabble over. On election day a healthy 57 seats in the Commons was reduced to a mere eight. 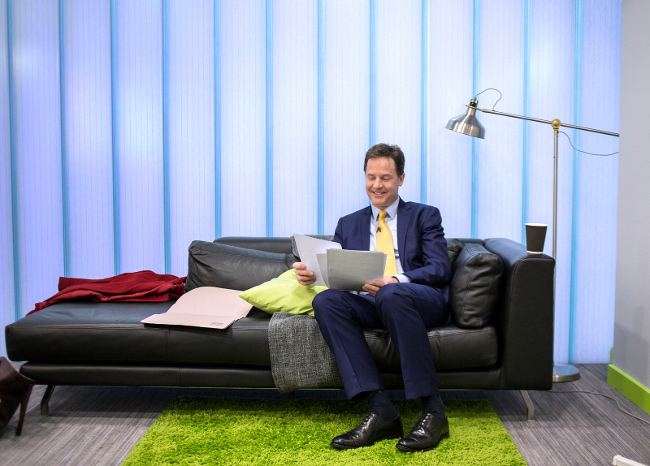 The day after, the party leader Nick Clegg resigned, dejected and almost in tears. And some weeks later Charles Kennedy, who led the party to its greatest strength in Parliament in 2005, was finally toppled by alcohol. 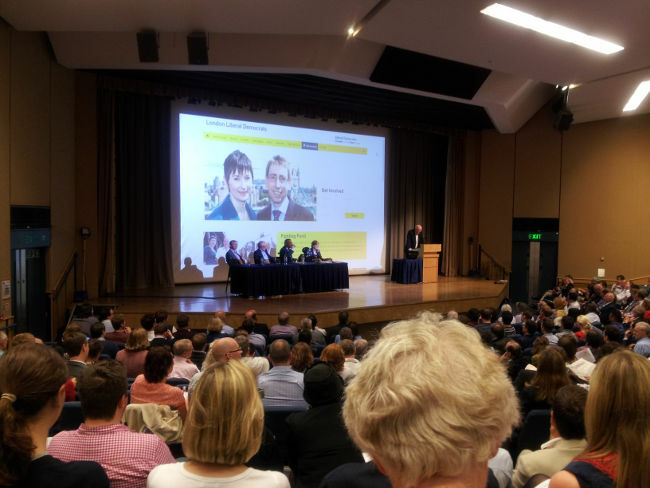 It is therefore surprising that Tim Farron and Norman Lamb, the two men vying to succeed Clegg for the title of chief Liberal, spent much of the hustings at University College London on Wednesday talking about legacy. Much of this naturally concerned the coalition. Lamb – who having served several roles in government has the greater claim to Clegg’s mantle – was keen to laud the last parliament in bringing about gay marriage, praising former MP Lynne Featherstone for her role in getting it onto the books. Farron meanwhile looked like he was compensating for the distance between him and the more classically liberal “Orange Bookers”, many of whom set up the coalition in 2010. Almost the first words out of Farron’s mouth were in praise of “a great speech…from the lips of Nick Clegg” – a reference to that painful resignation the morning after the polls. Both candidates also looked back to the last century, nodding at former Liberal leaders such as Jo Grimond (1956-67), David Steel (1976-88) and of course Kennedy himself (1999-06). “I’m standing in this election because I’m not having the party of Grimond, [former MP David] Penhaligan and Charles Kennedy die on my watch,” Farron insisted. To be sure, few parties on the fringes of power can claim such a heritage. But whilst the history lesson was welcome to the many new members who had turned up for the hustings, it was the party’s future that had brought the crowd to Logan Hall just off Russell Square. Unlike much of Westminster, Farron has made his way to Parliament from genuine strife, having been largely raised by his mother following his parent’s divorce five years after he was born. Early life in Lancashire was what led him to label Margaret Thatcher’s premiership “organised wickedness” back in 2011, a position he hasn’t recanted since. By comparison Lamb, a former lawyer, appeared on the night to poke at various interests without binding them together. Surveying the mostly white, middle class room he described the Liberals as “the least diverse party in British politics”, clearly forgetting that the Greens exist. “That is unacceptable and we need to change it,” he added. This theme was echoed by Farron as the pair sought to cover the breadth of liberalism’s interests around diversity, the environment and schooling. 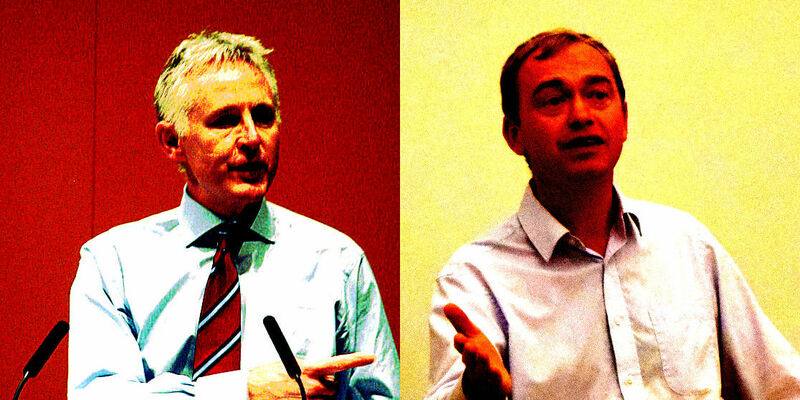 Though the leadership contest may not be a battle for the party’s soul there still is a sense that Farron is the social democrat choice and Lamb the classically liberal one. With only eight Commons seats, one might well ask if such a thing matters. As a Liberal Democrat pointed out to your reporter in a Whitehall pub some weeks ago, few outside of the Westminster Village care a damn who wrote what in the Orange Book.